The Internet has truly become humongous, especially with the rise of various forms of social media in the last decade, which give users a platform to express themselves and also communicate and collaborate with each other. 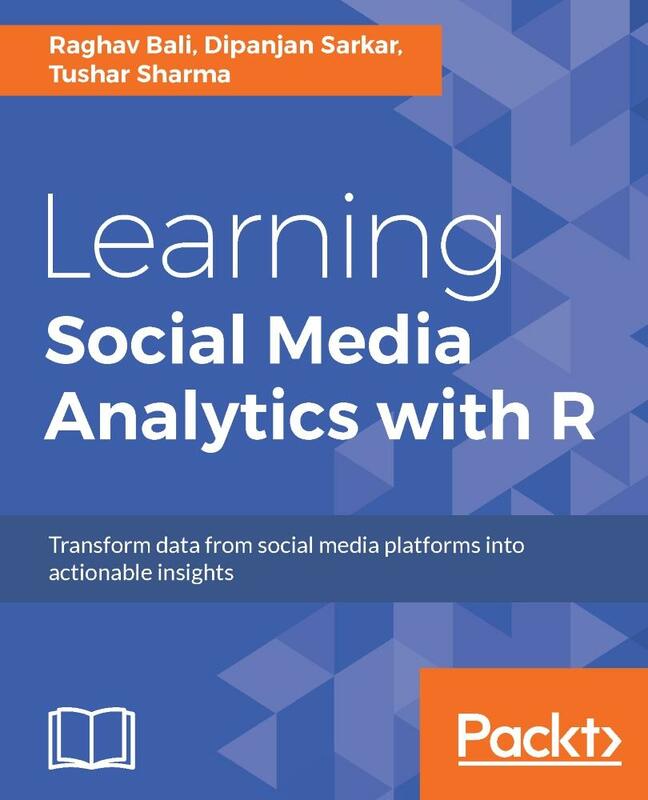 This book will help the reader to understand the current social media landscape and to learn how analytics can be leveraged to derive insights from it. This data can be analyzed to gain valuable insights into the behavior and engagement of users, organizations, businesses, and brands. It will help readers frame business problems and solve them using social data. 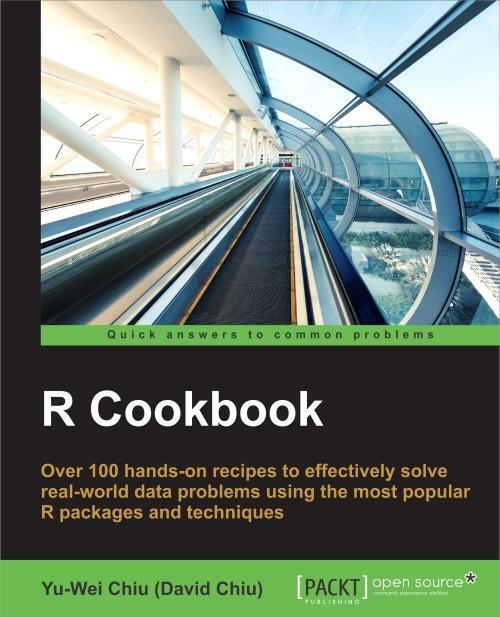 The book will also cover several practical real-world use cases on social media using R and its advanced packages to utilize data science methodologies such as sentiment analysis, topic modeling, text summarization, recommendation systems, social network analysis, classification, and clustering. 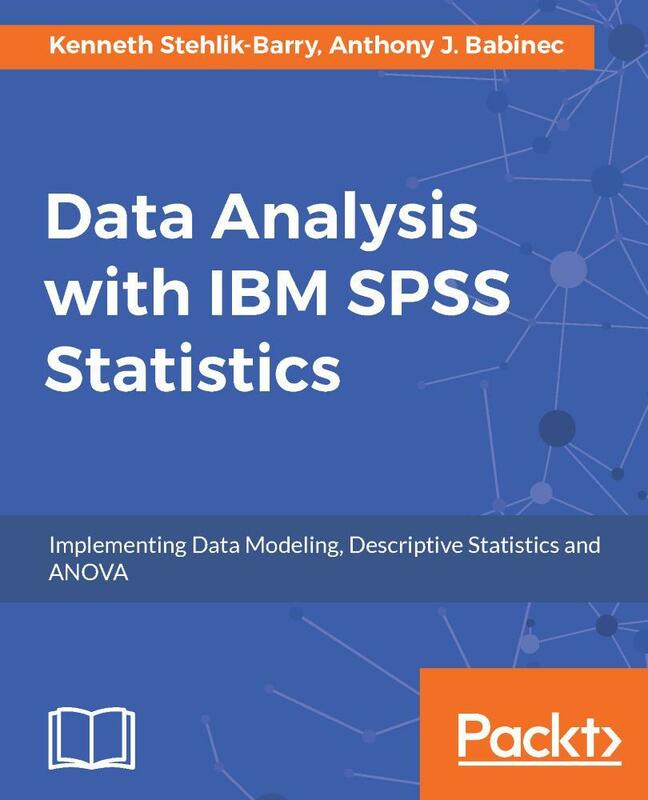 This will enable readers to learn different hands-on approaches to obtain data from diverse social media sources such as Twitter and Facebook. It will also show readers how to establish detailed workflows to process, visualize, and analyze data to transform social data into actionable insights. Raghav Bali has a master's degree (gold medalist) in information technology from International Institute of Information Technology, Bangalore. He is a data scientist at Intel, the world's largest silicon company, where he works on analytics, business intelligence, and application development to develop scalable machine learning-based solutions. He has worked as an analyst and developer in domains such as ERP, Finance, and BI with some of the top companies of the world. Raghav is a technology enthusiast who loves reading and playing around with new gadgets and technologies. He recently co-authored a book on machine learning titled R Machine Learning by Example, Packt Publishing. He is a shutterbug, capturing moments when he isn't busy solving problems. Dipanjan Sarkar is a data scientist at Intel, the world's largest silicon company on a mission to make the world more connected and productive. He primarily works on data science, analytics, business intelligence, application development, and building large-scale intelligent systems. He holds a master of technology degree in information technology with specializations in data science and software engineering from the International Institute of Information Technology, Bangalore. Dipanjan has been an analytics practitioner for over 5 years now, specializing in statistical, predictive and text analytics. He has also authored several books on Machine Learning and Analytics including R Machine Learning by Example & What you need to know about R, Packt. Besides this, he occasionally spends time reviewing technical books and courses. Dipanjan's interests include learning about new technology, financial markets, disruptive start-ups and data science. In his spare time he loves reading, gaming, watching popular sitcoms and football. Tushar Sharma has a master's degree specializing in data science from the International Institute of Information Technology, Bangalore. He works as a data scientist with Intel. In his previous job he used to work as a research engineer for a financial consultancy firm. His work involves handling big data at scale generated by the massive infrastructure at Intel. He engineers and delivers end to end solutions on this data using the latest machine learning tools and frameworks. He is proficient in R, Python, Spark, and mathematical aspects of machine learning among other things. Tushar has a keen interest in everything related to technology. He likes to read a wide array of books ranging from history to philosophy and beyond. He is a running enthusiast and likes to play badminton and tennis. Chapter 4: Foursquare – Are You Checked in Yet? Chapter 8: News – The Collective Social Media! 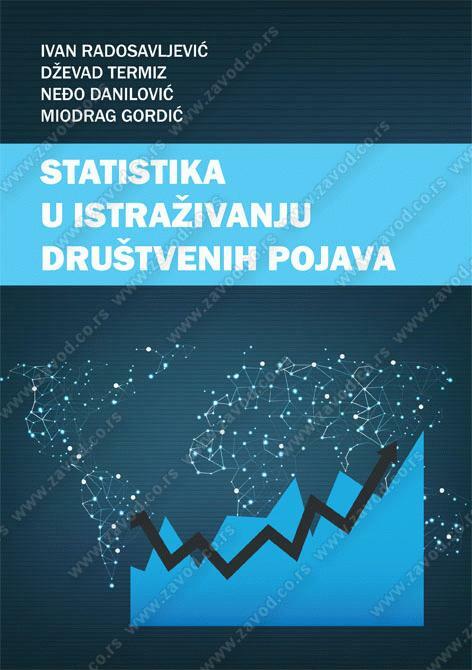 Prva deo je posvećen razmatranju osnovnih, bitnih polazišta u primeni opštenaučne statističke metode u istraživanju društvenih pojava kao što su: projektovanje istraživanja u kojima se koristi opštenaučna statistička metoda, kvantifikacija i statistički podaci, predmeti društveno-statističkih istraživanja, fundamentalne kategorije statistike, pojmovi podatak i obrada podataka i njihova svojstva.